by both public and private entities, determining the quality of training rendered at different training centers is crucial to the success of the skill development programme and thus skill assessment is essential part of skill development. AMH SSC has been launched with a primary mandate of enhancing and to build a capacity in skill development. One of the salient features of the AMH SSC is designing of the training programmes, based on industry demands of different segments and to ensure that all successful trainees are certified through accredited assessment agency. 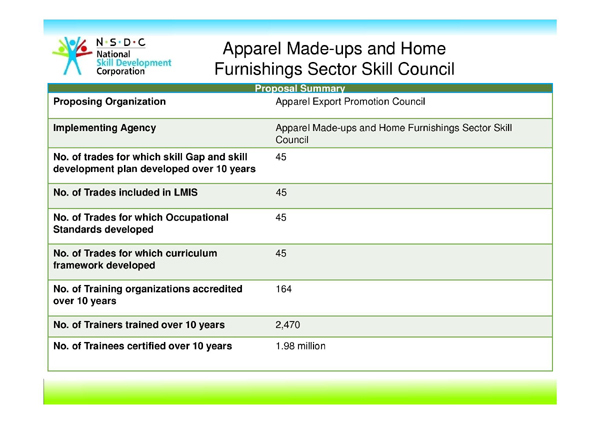 proficiencies of skills of trainees for the apparel sector, made-ups and home furnishing for their respective subject areas. The assessment is defined as a structured process in which evidence of performance is gathered and evaluated against approved NOS/QPs, approved by the NSDC. Assessment is the process of evidence collection of a person’s competence level through range of methods-tests, observations, interviews, assignments and professional discussion etc. 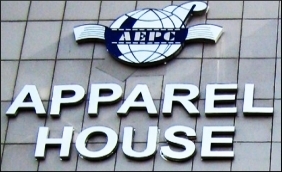 AMH SSC a body has a well defined organizational structure comprising industry members from knitwear, apparel, hosiery, fashion design, made-ups / home furnishing, association, academia, domestic apparel industry, NSDC besides representative from MoT. Effective assessment testing and credible certification of formally /informally acquired skills of targeted persons in the 12th Five Year Plan. Setting uniformity in the assessment of testing and certification process in the clothing, made-ups & home furnishing sector for enhancing identical delivery of skill sets. Certification being recognized by national and international Governments, private industries and trade organizations. Publicize rating and outcome information on assessment of trainees and institutions.